Aquafina the World’s Best-Selling Bottled Water Band is Here in the Philippines! Aquafina, the bottled water brand trusted by consumers around the world, will soon come to Filipino consumers. Known for its purity, Aquafina brand has won over consumers around the world since its introduction in the U.S. in 1994. Aquafina hopes to change the game once again with its expansion to the local market. “Filipinos always demand for quality and credibility and the same is true when it comes to bottled water. With the continuously growing water category in the country, it’s high time for Filipinos to experience the pure water that Aquafina has to offer, says Melai Lazaro-Javier, PepsiCo Category Manager for Juices & Water. Aquafina water is purified using the best technology available to purify water, this process includes reverse osmosis, ozonation and carbon filtration to remove things like chlorides, salts, and other substances that can affect the taste of water. With this, you’ll get pure water consistently every time you open an Aquafina. Aquafina prides itself in delivering consistently crisp taste in every bottle, no matter the market, across the globe. 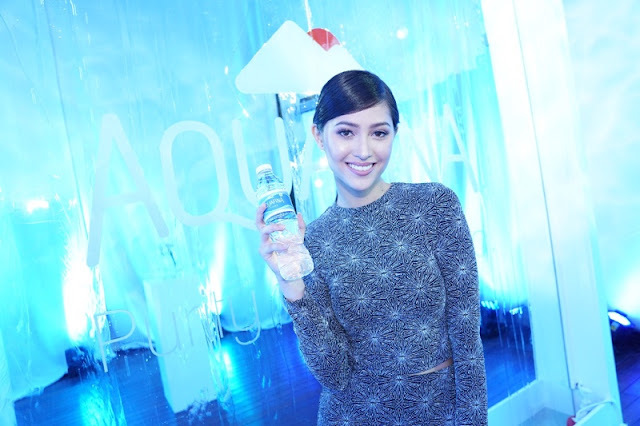 As the world’s best-selling bottled water brand, Aquafina likewise aims to bring out the best in every Filipino. “Each of us has what it takes to be the best at something. No matter how big or small they may seem to be, these successes deserve to be celebrated and be proud of. Aquafina hopes to give every individual the inspiration they need to become their best self”, shares Javier. 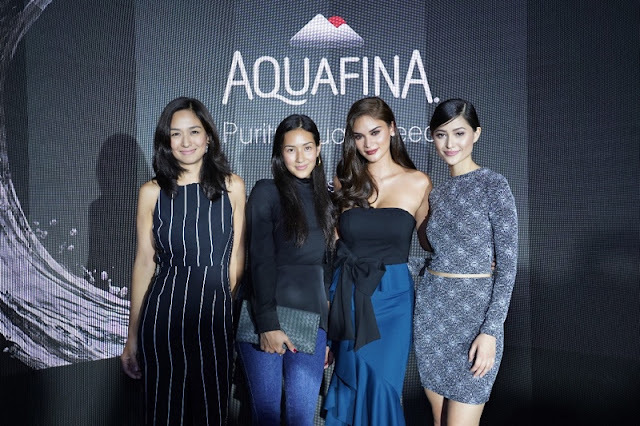 To further this advocacy, Aquafina chose none other than Miss Universe 2015 Pia Wurtzbach to represent the brand’s philosophy. With an inspiring backstory to her now-stellar career, Pia undeniably embodies what it means to persevere, stand out, and eventually become the best. Aquafina will soon be available in all leading supermarkets and grocery stores at Php 10.00 for 350mL, Php 15.00 for 500mL and PhP 24.00 for 1L. Get a taste of the world’s best-selling water! Visit https://www.facebook.com/aquafinaph/ to learn more about how you too can become the #BestAt anything you please.